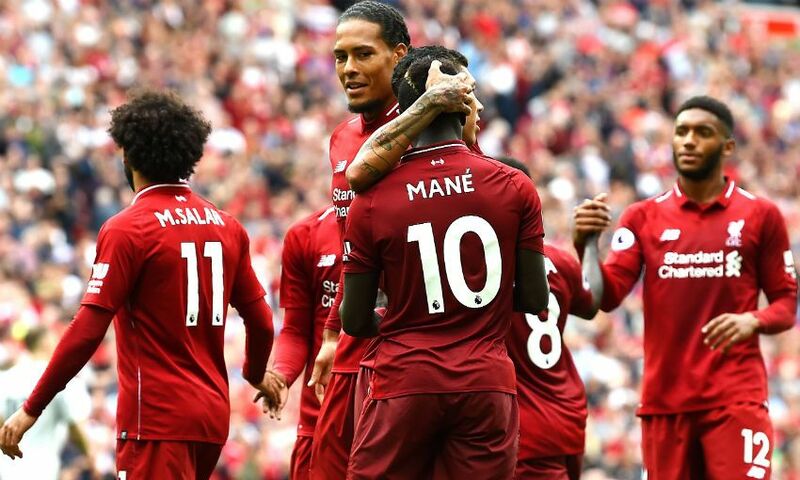 The game at Wembley against Spurs was meant to be the litmus test for Liverpool if they are really serious about gunning for this season’s Premier League title. The Reds passed it their test with more than flying colors. They even showed us how prepared they were for the race ahead as they exposed Tottenham as nowhere near ready for a challenge themselves. Giving Spurs’ win a week ago over United, many expected that they would be able to give Liverpool a serious test, but sadly it wasn’t to be. Although Spurs had their own mini-injury crisis, Hugo Lloris and Dele Alli were both out due to injury but this did not undermine the quality Spurs still have in the depth of their squad, but Liverpool were far too much for the North London outfit. The Premier League title seems to be shaping up to be an exciting one and the real contenders are rising to the top. Liverpool’s 2-1 win over Spurs has just affirmed their seriousness about the job in hand. With five wins from possible five and conceding just two goals so far this season, only a fool would rule them out to be in the running come May. Jurgen Klopp knows he has all the resources he needs to go all out for the title and knows full well that he has been, and will continue to be backed financially by the club. Their next set of fixtures are against the likes of Chelsea and PSG, and these games will go a long way to see how serious they are about the season, and their Manager understands the fact that he will have to rotate his squad if they are going to continue fighting on four fronts. The club have brought in some great players who still have not seen much game time and the presence of Shaqiri is a threat to any opposition club as the Swiss man’s quality and goalscoring prowess is obvious for everyone to see. Klopp however has to find a way to make his front three play more cohesively than what we have seen so far this season. Liverpool seems to be delivering plenty of sterling individual performances, but the separate players are still not performing as a team as well as they did last season. A good example was when Mane had the ball and could have squared it to Salah who was waiting to score, but he delayed the ball before playing it out and squandering the chance. This would never have happened last season while Liverpool were banging in team goals for fun.